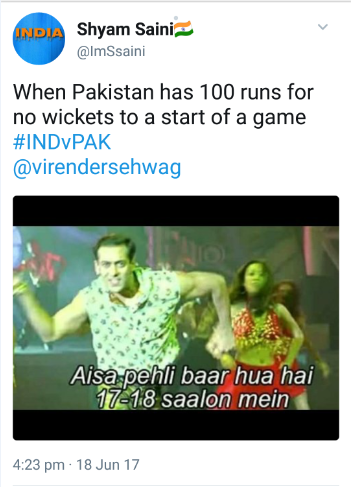 These #IndvsPak tweets are exactly what you need right now! You know what day it is! 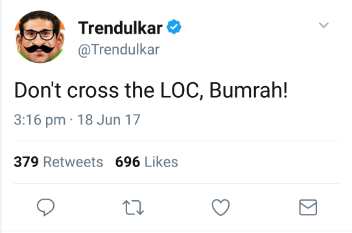 It’s the day when India and Pakistan meet for a match that would have been a final regardless of its status. 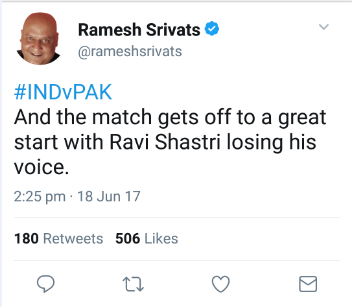 Fans on both sides of the border are going nuts, and why wouldn’t they? 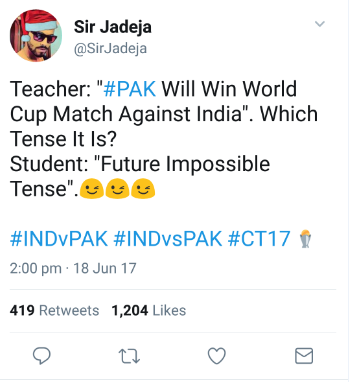 #IndvsPak is the El Clasico for Cricket fans and you know it. 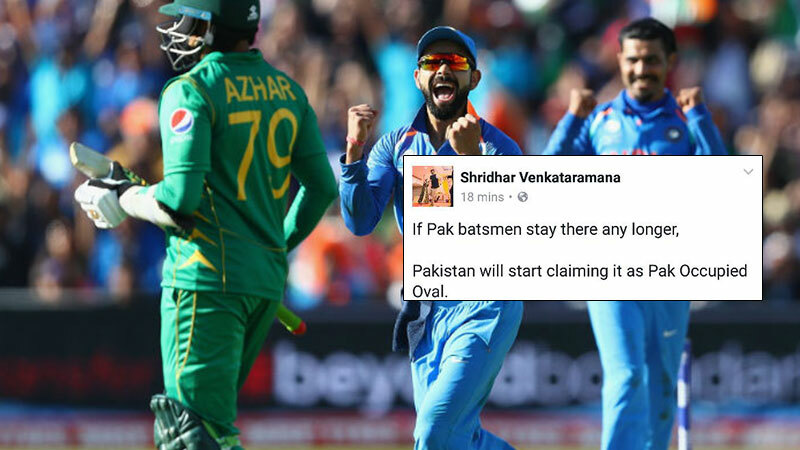 Do you remember a time when there wasn’t a die hard rivalry between India and Pakistan on the Cricket pitch? I do not. 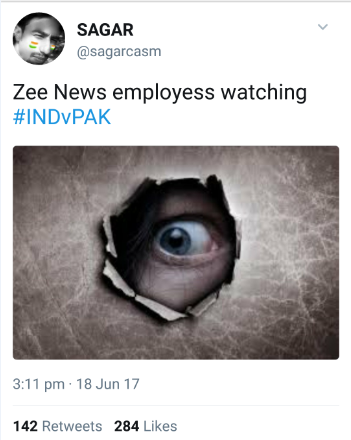 For as long as I have lived, India and Pakistan has meant skipping school, then college and now it means calling in sick to work. 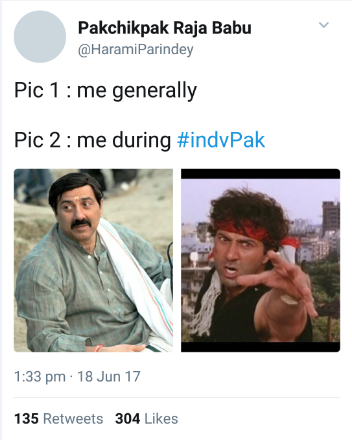 Or maybe act like you’re working and feast thy eyes upon India Vs Pakistan! 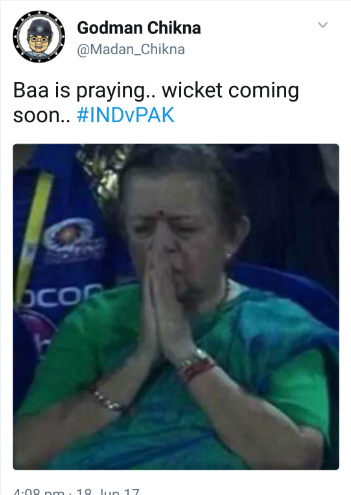 As the drama unfolds on the field, with billions of people chewing their nails at once, nervously shaking them legs and punching and kicking random objects at home, occasionally tweeting to describe their anguish or elation, let us summarize #IndvsPak tweets, memes and jokes! 1. You know it’s true! 2. In the aiiiiiirrrrr…. and taken!!!! 3. 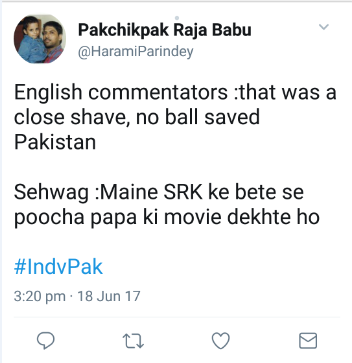 How can you even boycott an #IndvsPak match? Quitting smoking is easier! 4. 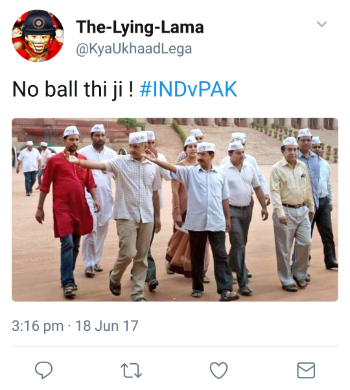 Arvind Kejriwal’s entire life is one big meme. 5. 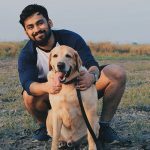 Apni hi duniya me hai dono! 6. 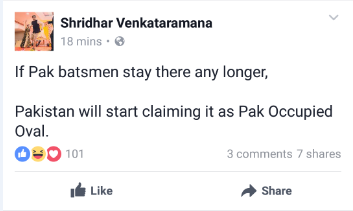 Calls VVS to draw Laxman Rekha! 9. 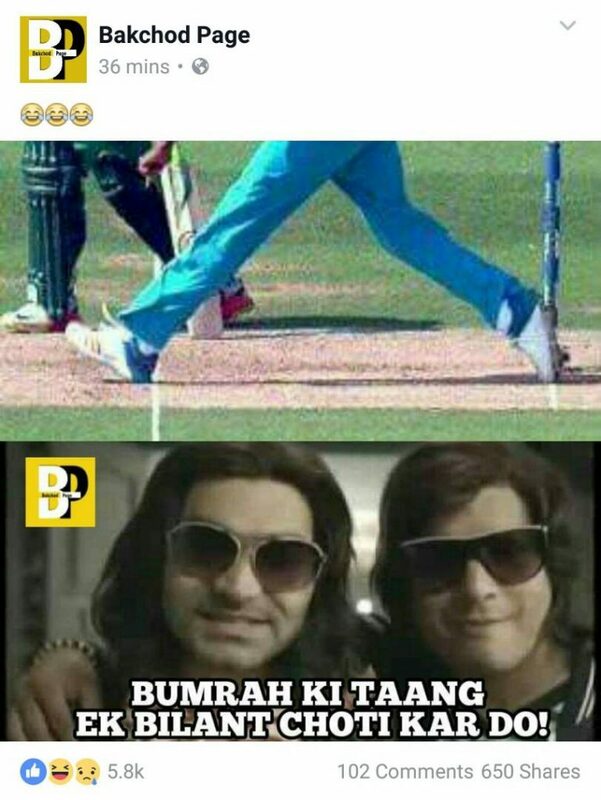 The name of the movie is Jeet. It’s a sign from God. 10. Is Tom Cruise making a movie about this one? 11. That is going to cost us a lot of Parle Gs! 12. Plata or Plomo? No.. No.. 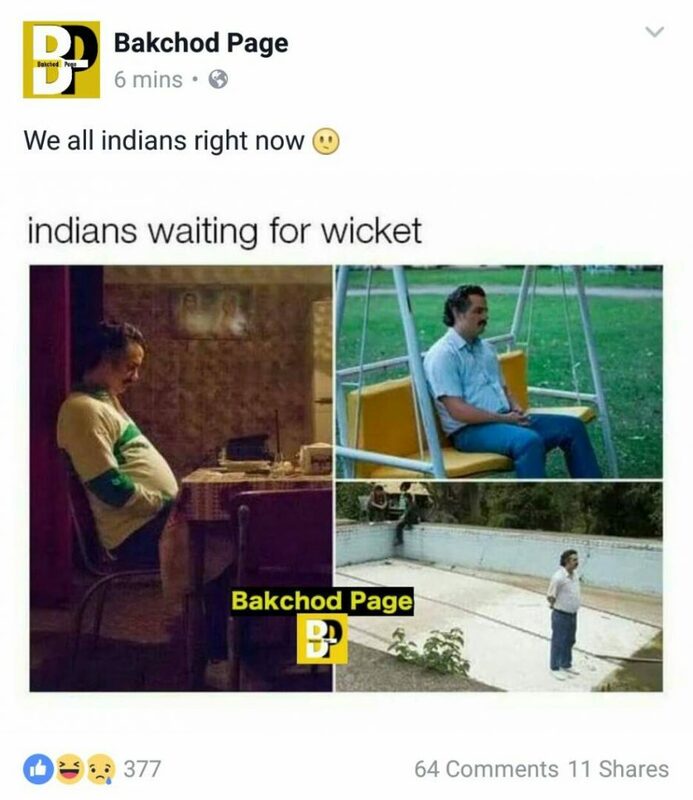 Wicket!!!! Share your best #IndvsPak tweets, memes and jokes with us at team@socialsamosa.com! Until then, let us all Bleed Blue!